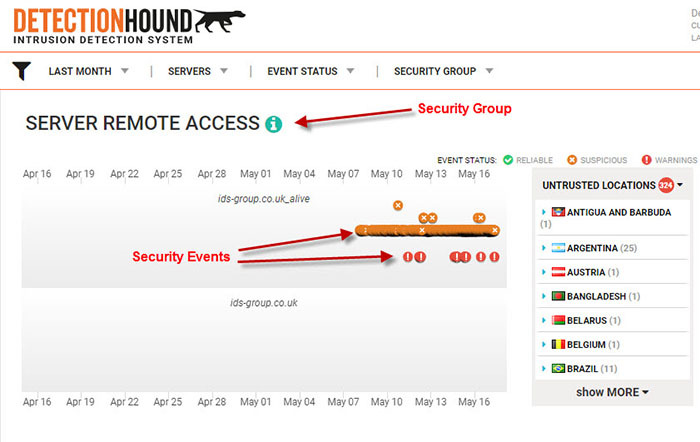 The core of dhound functionality is security event concept. Dhound-agent collects security events on servers/devices and sends it on dhound servers where the information is analyzed, aggregated and visualized. Dhound offers standard set of security events that can be collected on your servers: List of predefined security groups and events as well as ability to collect custom security events. Security events are aggregated into containers called security groups.